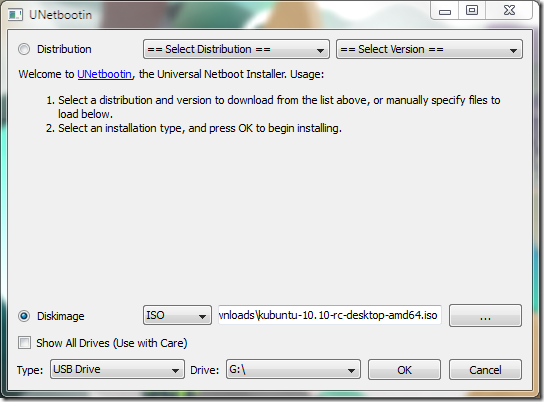 How To Create A Bootable Ubuntu USB Drive From Windows? 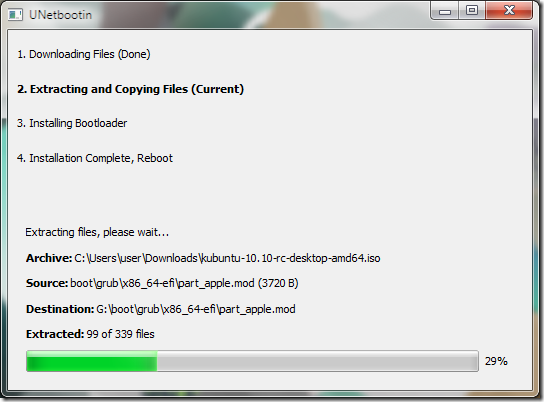 Creating a bootable Ubuntu USB flash drive from a Ubuntu is pretty straightforward. However, most of the new computers comes with Windows and if you want to install Ubuntu, you have two options – burn the ISO in a CD or you can use UNetBootin to create a bootable flash drive from Windows. First of all, you need to download the UNetBootin software. It is available for free and you can download it from sourceforge. It is just around 4MB, so download would not take time. UNetBootin actually works with a lot of Linux distros, including Fedora, Debian, Arch Linux, Slax etc., not just Ubuntu. However, in this article I will write about Ubuntu as I have not tried it with the other distros. 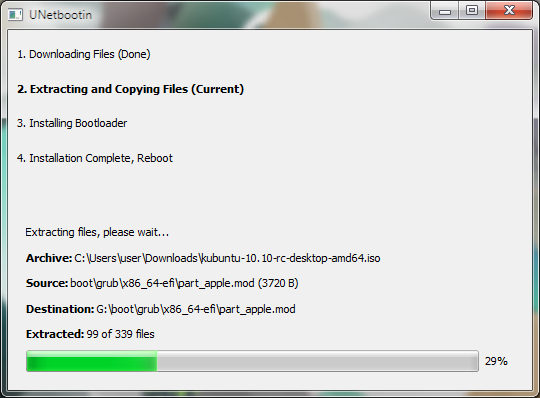 After you have downloaded UNetBootin, go to the location where it has been download and run it. 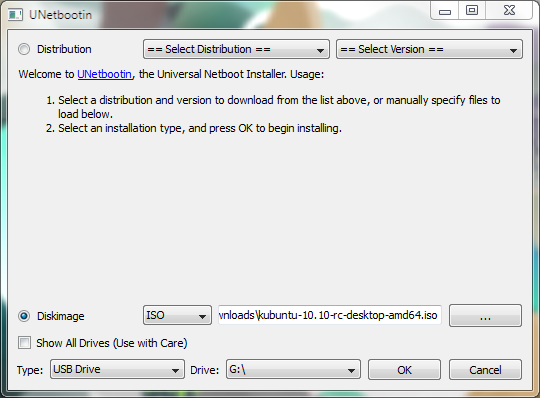 UNetBootin gives you two options – it can download the ISO or you can use a an image you have already downloaded. I already have Kubuntu 10.10 RC ISO downloaded. So, I will use that. Then select USB Drive from Type and the appropriate drive. 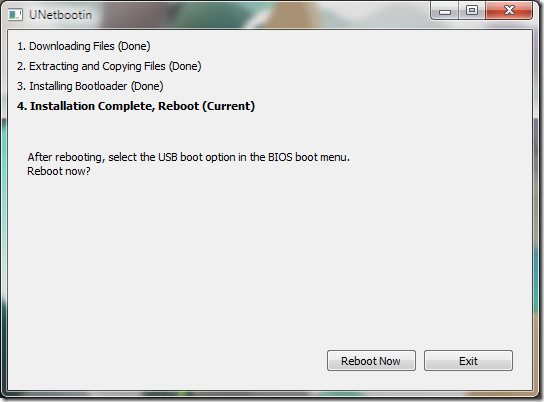 Click Ok.
After that UNetBootin will begin making the bootable USB drive. This should not take too much time. After it has finished, you will be prompted to reboot. Do remember to enable USB booting from the BIOS.